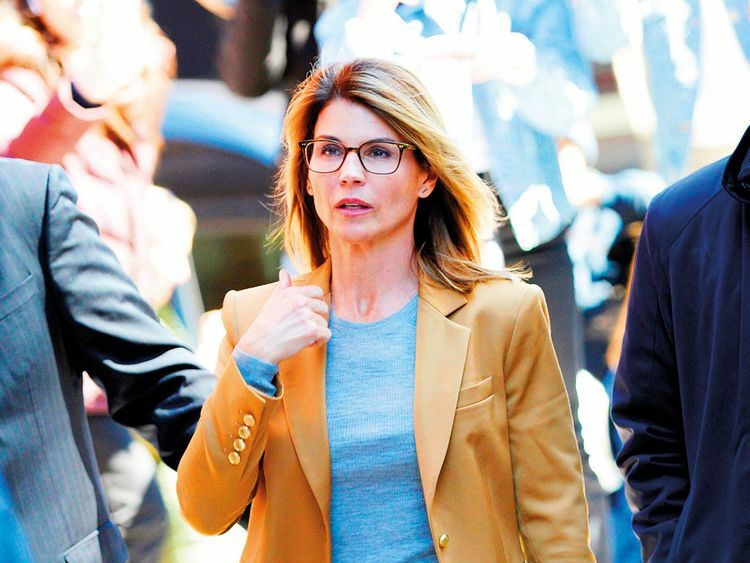 Actress Lori Loughlin and her husband, fashion designer J Mossimo Giannulli, pleaded not guilty on Monday to charges against them in a sweeping college admissions scandal that’s ensnared dozens of wealthy parents. The couple have not spoken publicly about the charges. As other parents have opted to cut deals in a bid for leniency, Loughlin and Giannulli appear to be gearing up for more of a legal fight. The pair are accused of paying $500,000 (Dh1.8 million) to have their two daughters admitted to University of Southern California (USC) as crew recruits. Though neither is a rower, the parents saw being a coxswain as their daughters’ tickets into the private college, according to an affidavit filed in federal court. USC’s admissions rate is 13 per cent. They began discussing the plot with William ‘Rick’ Singer in April 2016 after they met with the college counsellor of their older daughter, Isabella, according to the affidavit. “I’d like to maybe sit with you after your session with the girls as I have some concerns and want to fully understand the game plan and make sure we have a roadmap for success as it relates to [our daughter] and getting her into a school other than ASU [Arizona State University]!” Giannulli allegedly wrote to Singer. The money that authorities say eventually made its way to college coaches involved in the scam was funnelled through Singer’s charity, whose stated mission was to help “underprivileged students.” This allowed some of the parents to write off the bribes as donations on their taxes, authorities said. After their older daughter’s admission was secured, they repeated the scam in 2017 with their younger daughter, Olivia Jade, authorities allege. Singer allegedly told the couple he would present their daughter as a crew coxswain for the LA Marina Club team and requested they send an “action picture.” The couple sent him a photo of Olivia Jade rowing on a machine, according to the affidavit. According to several sources familiar with negotiations, the first group of parents to plead guilty — including Huffman — did so after seeing no real chance of avoiding conviction given the prosecution’s audio and written evidence. Huffman chose to plead guilty in an effort to avoid prison time and limit exposure for her husband, William H Macy, whom investigators also recorded discussing the cheating scheme with Singer but was never charged, sources said. Huffman will be sentenced in the coming weeks. Manny Medrano, a defence attorney and former federal prosecutor, said that based on 2019 federal sentencing guidelines, Huffman probably will face four to 10 months in prison as part of her plea.